The traditional view of suicide as profoundly unusual is challenged by the fact that suicide and attempted suicide are the largest causes of death an injury to young adults. 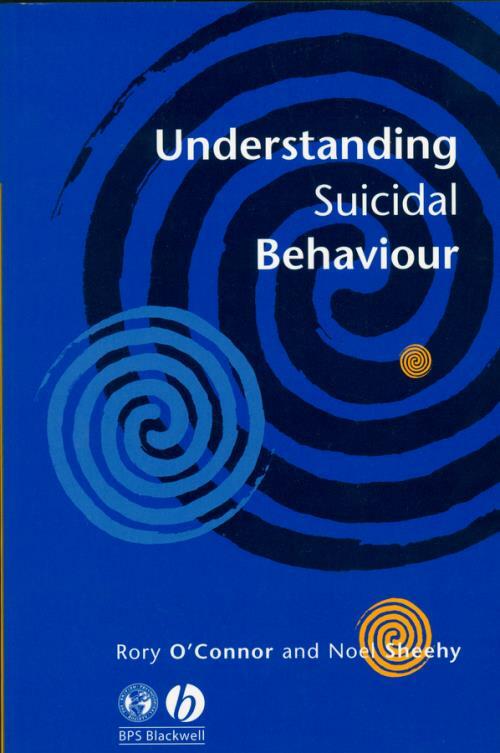 Understanding Suicidal Behaviour aims to de–mystify suicide, and shows how regarding it as the product of an insane mind fails to explain why people kill themselves and how those considering suicide may be helped. Written in a jargon–free style and from a theoretically eclectic position the book examines the social and intellectual origins of the view that suicide is profoundly abnormal and a case for medical treatment. The authors investigate the incidence and causes of suicide, review the risk factors, and examine the implications for prevention and the ethics of intervening–or failing to– intervene–in the context of the needs and rights of those who consider suicide. Through an analysis of suicide letters and conversations with those who have recently attempted suicide, they show how an understanding of suicidal communication can enlighten our thinking. Understanding Suicidal Behaviour will be a useful guide for those with a general interest in suicidal behaviour as well as psychologist and other health care professionals active in the field, in particular mental health professionals, medical practitioners, social and community workers and physiatrist. It will also be useful for prison officer, voluntary groups psychotherapists and counselors. 1. Suicide in the History of Western Civilization. 2. Issues of Definition, Incidence and Measurement. 3. Suicidal Behaviour I: clinical Factors. 4. Suicidal Behaviour II: Social Factors. 5. Suicidal Behaviour III: Person Factors. 6. Suicide Communication I: Suicide Letters. 7. Suicide Communication II: Parasuicide.